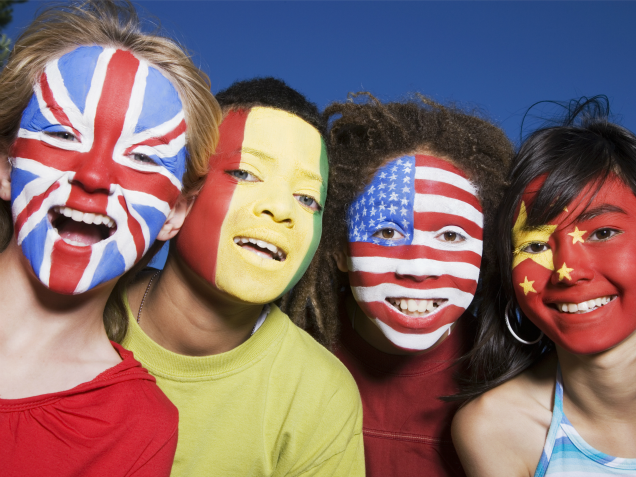 San Diego’s Premier Language School! Whether your goal is to communicate more effectively, travel abroad with more ease, discover another culture, meet new people, understand your foreign relatives, or simply broaden your world view, learning another language can be a wonderful and rewarding pursuit. Why the San Diego School of Languages? The Best Value – Tuition prices are kept low, but not at the sacrifice of high quality faculty, facilities and staff. We set textbook prices at cost so that our students can afford the highest quality university textbooks. The Best Teachers – We carefully select our faculty and attract the best teachers with very competitive compensation. Our teachers care about their students and create a dynamic, supportive environment which is most conducive to learning. The Best Location – We are located in the heart Hillcrest, within walking distance of superb dining and shopping. The Best Experience – Experienced, caring teachers, university textbooks, small class size, attentive staff, a new facility, and convenient parking are some of the tangibles that make this the best experience. Adults can learn a language (without gimmicks or false promises) at a very reasonable pace while enjoying life in San Diego County, maintaining a job, and being involved in their family life. Just three major ingredients are needed: 1) an excellent teacher, 2) an excellent text, and 3) a class full of like-minded people. Success in learning a language here at the San Diego County School of Languages can be achieved by attending an 80-minute class once a week, completing 15 minutes of homework each night, and being persistent. The classes include elements of laughter, fun and camaraderie, making it a weekly event people really look forward to attending. People are taught steadily; as they are inspired and motivated to continue, they keep at it and become more advanced in their skills. As students progress, they continue to attend increasingly advanced classes, where they review, practice, increase their vocabulary and their speed, and become more fluent. Learning a second language enriches the lives of the speakers and is an amazingly rewarding experience.